The Community Affairs Section works as a liaison between the public and the Police Department to resolve quality of life issues. Led by a Sergeant, the unit is comprised of four (4) Crime Prevention Coordinators and four (4) Neighborhood Resource Officers. You may contact our Community Affairs unit at (310) 458-8474. Meet our dedicated teams of Neighborhood Resource Officers or Crime Prevention Coordinators. 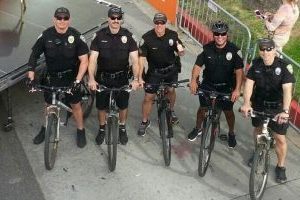 The Event Planning Section, led by a Sergeant, is responsible for coordination of police services involving all special events and film permits. The City of Santa Monica hosts many high profile events each year including the Los Angeles Marathon, Twilight Concert Series, and many commercial filming permits. 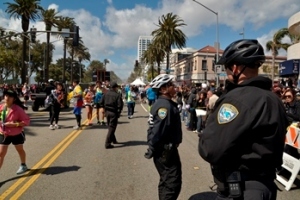 These require operational event planning and staffing by the police department. We continually collaborate with the Community Events Office in the Community and Cultural Services Department, to review event permit applications and establish acceptable requirements in accordance with the City's Events Ordinance. To apply for an event permit contact the Community Events Office at (310) 458-8300. For questions regarding police services for permitted events, please contact Sergeant Mike Braaten at (310) 458-8443.